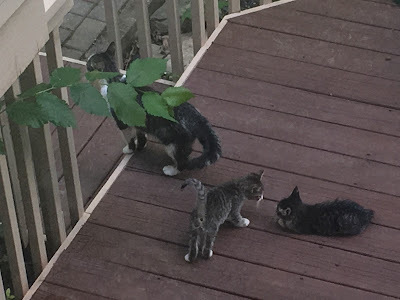 One of cats who comes our back yard to get some food, tiny little one at first glance, brought her 4 kittens along for the day (I guess kitten daycare was closed or something). They chilled out in the back yard, played a lot, slept, played again and then left at night. 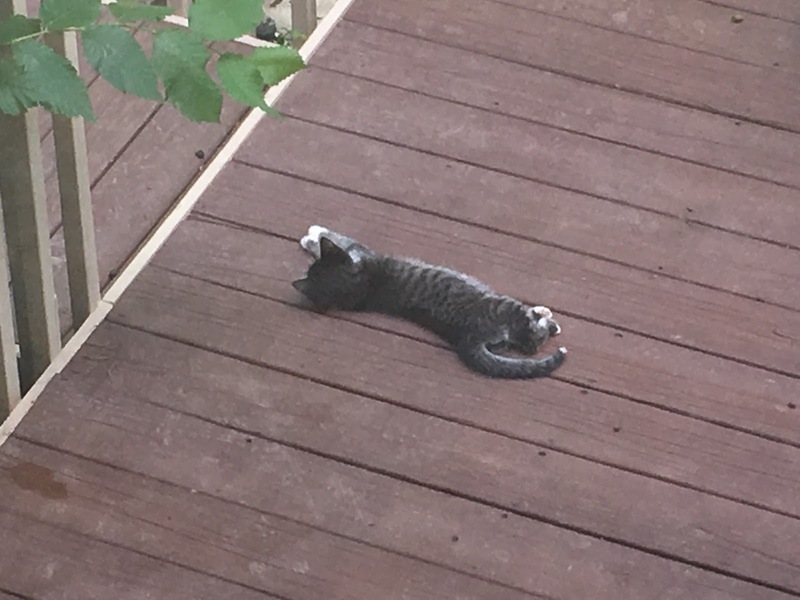 One little one also managed to explore our top patio. I have doubts that a cat with kittens like this can be somebody else's cat... Trying to figure out if there is something I can do to help them besides the food of course.